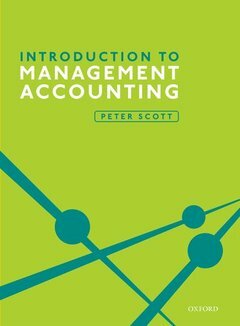 Peter Scott held the position of Principal Lecturer in Accounting and Finance at De Montfort University until 2016, teaching at both undergraduate and postgraduate level. He was an undergraduate personal tutor and was awarded a Vice Chancellor's Distinguished Teaching Award on four occasions following nominations by his students. Prior to De Montfort, Peter trained with Grant Thornton, Chartered Accountants, where he also gained post qualification experience, before moving into industry at Ashfield Holdings Plc. Peter has presented various academic papers on the subject of auditing at several conferences in the UK, and has jointly authored published papers in refereed journals. He has also undertaken writing assignments for the ACCA, CIMA and the CIES International University Network (University of Neuchatel, Switzerland).